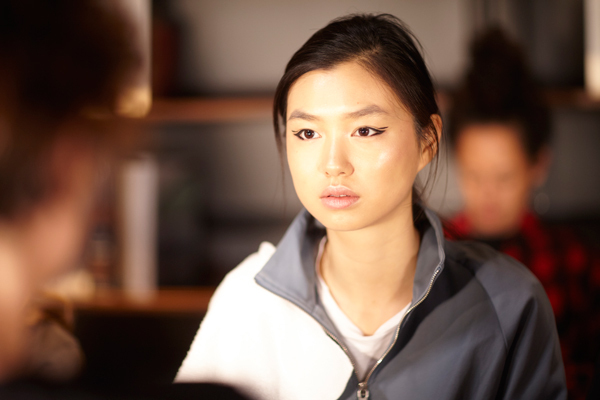 For the Monse Spring 2018 show, Grace Lee for Maybelline New York takes a cue from the almost-sporty vibe of the collection to design a graphic eyeliner look reminiscent of racing stripes. Placed on a backdrop of clean, glowy skin, the overall effect projects youthful radiance. Grace begins by applying a combination of Master Strobing Liquid Illuminating Highlighter mixed with moisturizer to impart a lit-from-within glow. She next evens skin tone with a light application of Dream Liquid Mousse Foundation and swipes Dream Lumi Touch Highlighting Concealer under the eyes to erase dark shadows. 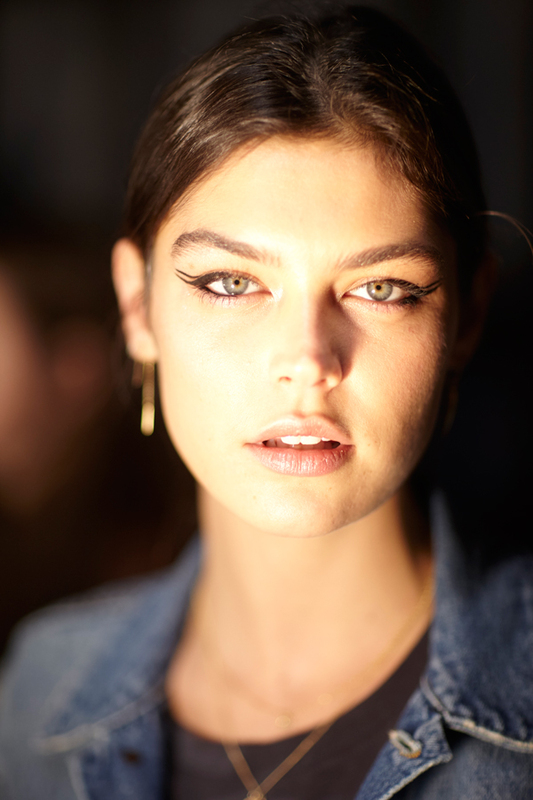 Taking the dewiness a step further, she taps the Master Strobing Stick Illuminating Highlighter n the browbone, cheekbones, and chin, and places Lasting Drama Light Liner in Starlight Gold in the inner corners of the eyes and along the cupid’s bow. 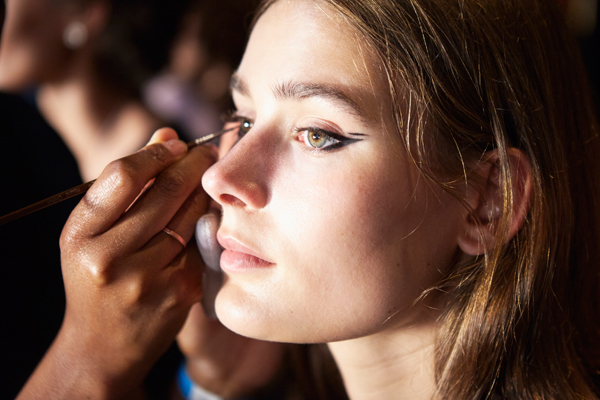 Eyes get prepped with a wash of Master Prime Long Lasting eye shadow base in Prime + Illuminate. 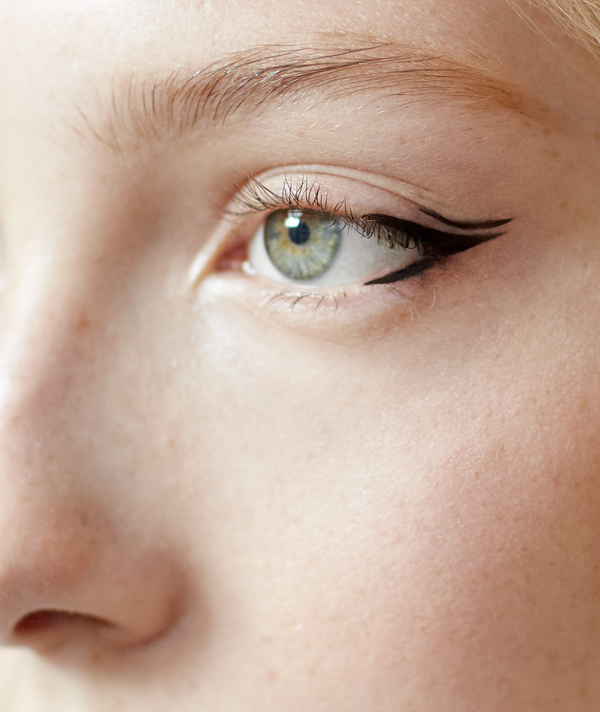 Next Grace uses Lasting Drama Waterproof Gel Pencil in Sleek Oynx to draw a subtle cat eye along the lid and adds a second line just above it. 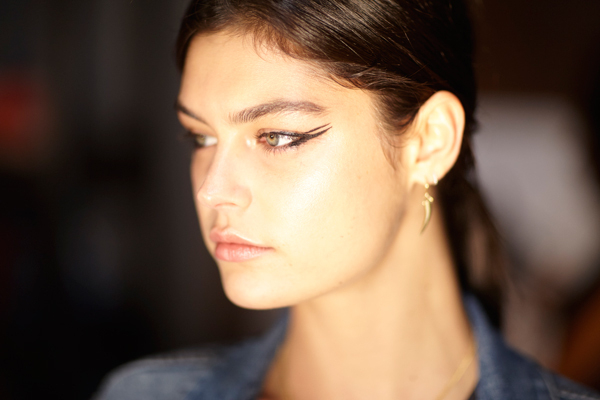 Then she traces both with Master Precise Ink Metallic Liquid Eyeliner in Black Comet for an unexpected touch of shimmer.